Scott graduated from the University of Oklahoma in 1987 with a degree in finance. Upon his graduation, Scott went to work for Metmor Financial, Inc. in Atlanta, Georgia originating commercial real estate loans on income producing property. In 1991 he moved to San Diego and took a position with John Burnham & Company in the commercial insurance department.In November, 1996, Scott joined Cavignac & Associates Insurance Brokers as a Vice President, and became a Principal and owner in 2001. Scott also represents Cavignac & Associates in the Greenwich Group, which is a nationwide group of insurance brokers specializing in commercial insurance and Sitkin’s International. 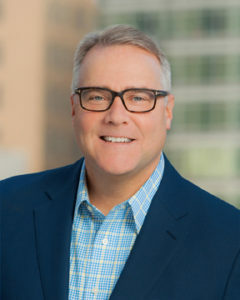 Scott’s finance and real estate background have uniquely qualified him for his focus on development, income producing properties and other real estate related risks. Scott is currently a candidate for the Chartered Property and Casualty Underwriter (CPCU) designation.